Thom Rivera is a multiple Earphones award-winning narrator. He is also a classically trained television, film, theatre, and voice actor. Based in Los Angeles, he spent twelve years living and working in New York City. He has toured nationally and performed at regional theatres and Shakespeare Festivals throughout the US. On television, he can be seen in Crazy Ex-Girlfriend, New Girl, The Mindy Project, and the CBS series Zoo. A groundbreaking vision for organizing across racial, economic, and religious lines. 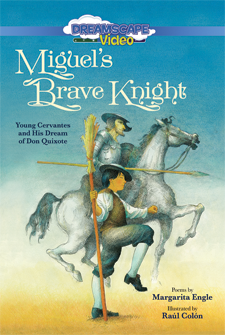 Miguel de Cervantes Saavedra imagines the adventures of a brave but clumsy knight.